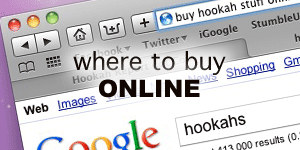 If you are new to smoking hookah, you might not realize that you aren’t getting as much flavor out of your sessions as you could be. If you are using the same hose for every session and not washing your hookah between every session, flavors of your past session are going to linger in your hose and stem. The flavor that is hanging around in your hose or stem is called “flavor ghosting”. Flavors that ghost your stem or hose muddle the flavor of sessions to come. Most flavors will wash out of your stem with just a quick brushing and some hot water but flavors may ghost a hose and/or a pipe for multiple sessions afterwards. The Odyssey lounge, owned by Eric of Tangiers, uses a stupidly complex system to designate hoses to certain flavor profiles. Ive heard, that they even have certain pipes set aside for almost every flavor. Since they use non washable hoses, a certain color is designated to every flavor profile. This is done so that every smoke has clean and distinct flavor. 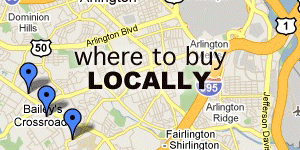 You don’t have to be a rocket scientist or a millionaire to have a system like this at home. What I do is designate a hose to very simple system of organization. Fist thing first, I only use washable hoses because they are easier to use. The difference between a washable hose and non washable hose is… duh. 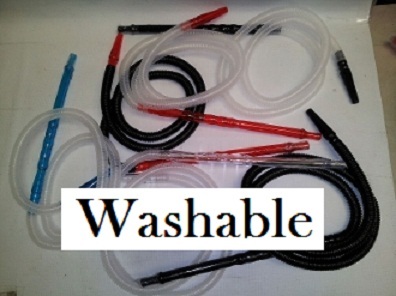 Washable hoses are sold as “washable” and are made of plastic and if they use glue, it is not water based. 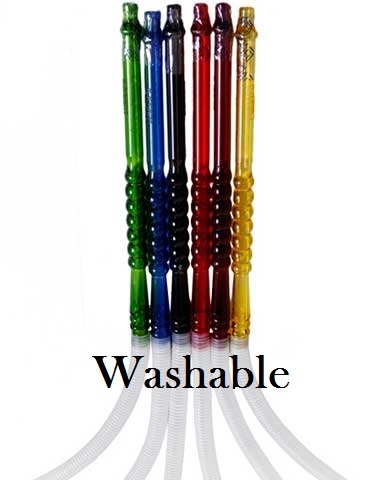 Washable hoses will also be clearly advertised as washable. If the hose is not clearly marked or titled washable, it’s not. 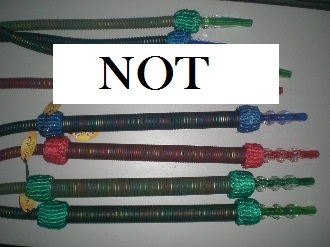 Non washable hoses are not washable for four reasons. The first reason is, that there is a steal coil in the hose and if that metal coil gets wet it will rust. The steal coil is what gives the hose a level of rigidity while staying flexible. You can test to see if your hose has a steal coil in it by seeing if a magnet sticks to the hose. If the magnet sticks, you know the coil is made of steal and when it rusts it will release rust particles while you are smoking. As far as I know, all MYA hoses are not washable. If you see a lounge that is washing MYA hoses… get the hell out of there. They probably have mold and rust in those hoses. The synthetic leather used in the skin of the hose soaks up water and will never dry. The second reason is, that the hose handle is made of cardboard. Cardboard is cheap, strongish, and light weight. This makes for a sturdy and light weight handle. If you wash a hose with a handle like this, it will fall apart and get moldy. 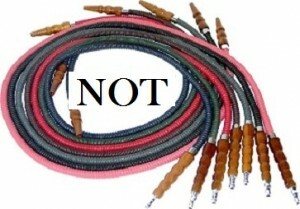 Most KM hoses are non washable. The third reason is, that the hose is made of genuine leather. Hoses that are leather will warp and grow mold if they get soaked in with water. The fourth reason is, that the hose is made with water based glue and the glue will slowly dissolve when it is exposed to water multiple times. The way that I designate flavors to a specific hose is easy. I have a hose for citrus, melon, floral, black (unflavored), floral, berry, and “dark”. If you want to smoke Double apple, it is going to need its own hose and preferably its own pipe. 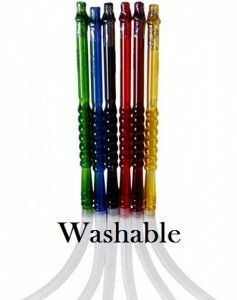 An easy and cheap way to have a hose for each flavor or flavor profile is to buy Nuhoses or Fancy hoses (long story short, they are the same product). 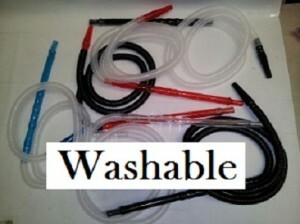 These are cheap plastic hoses that are 100% washable and are high quality disposable hoses. Double apple and unflavored shishas will stain any hose, washable or not, forever. You are going to have to clean your pipe with lemon juice or vinegar after the session. Even if you do this, the flavor might still linger in the purge valve and hose ports. This is the reason why some people choose to have a pipe set aside for these flavors.